Hi there, Angie here today with a card for our Anything Goes Challenge! Hope you can join in the fun and be eligible to win a $25 gift card to the a2z store! Just make sure you use one main Hero Arts product on your creation! I made this with the Hero Arts Digital set called Sunshine Flowers, the image is called Flower Face. Did you know that a2z is the exclusive retailer of Hero Arts digital stamps! They have a great selection to choose from HERE! Not only are they affordable (starting at $2.49), you get them within an instant as a download, ready to use! I printed the images with a toner printer and cut them out then foiled them in rainbow foil in my foiling machine. I also foiled the sentiment in the same rainbow foil. 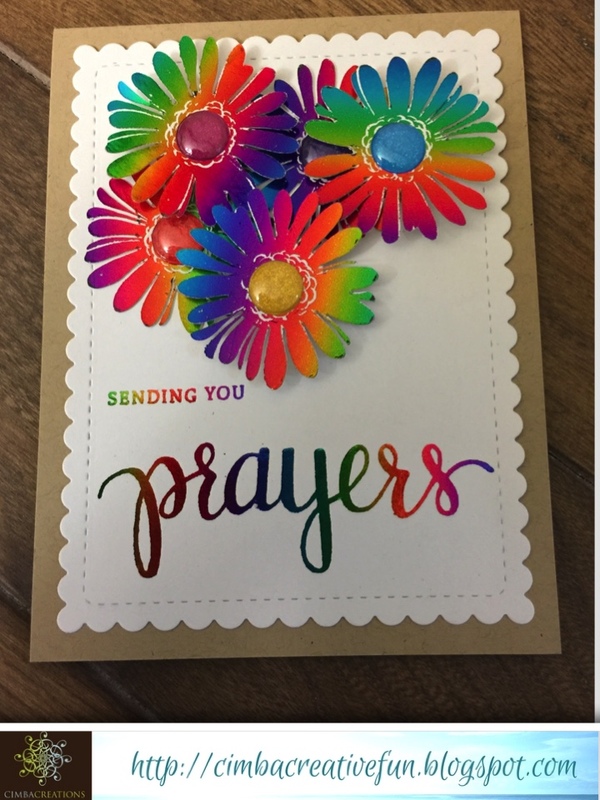 I attached the flowers to the card base, some with pop dots for dimension. The center of the flowers are gems from my stash. I cut the top panel with a stitched scalloped rectangle die and another panel for the inside. (There are two more flowers on the inside.) The card base is kraft card stock. I took extra pictures from many angles because the colors change depending on the angle of the light! 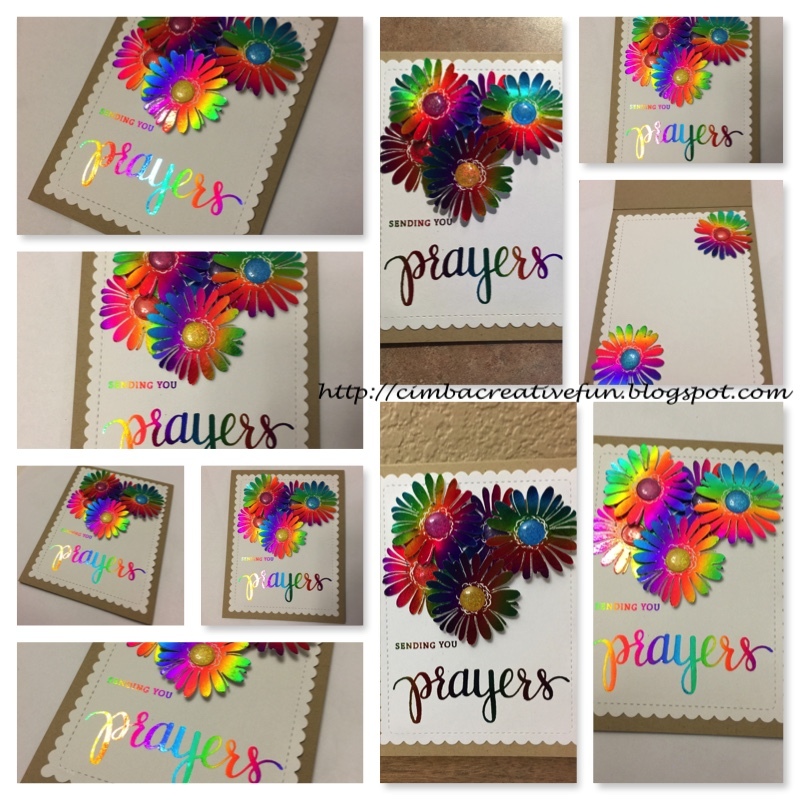 Categories: Challenges, Digital, Flowers, Friendship Cards, Handmade Cards, Hero Arts | Tags: Angie, Challenges, design team, Flowers, foiling, prayers, rainbow, sunshine flowers | Permalink. Wow these looks awesome!! I’d never thought to use the digital that way, thanks for the explanation on the ‘how to’!! Second WOW! I love the colors. Cool colors, design, textures. WOOHOOO Love them.